Collects Captain America (1968) #177-186. 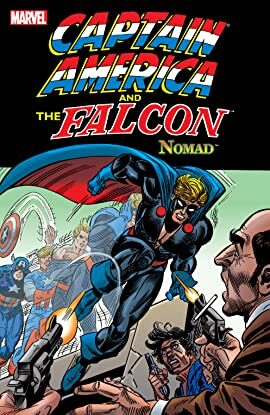 Disillusioned by government corruption, Steve Rogers lays down uniform and shield -- but it's not as easy to set aside half a lifetime of heroics, so a new legend is born: Nomad, the man without a country? But who will take up the forsaken red-white-and-blue, and what will it cost him to hold onto it? 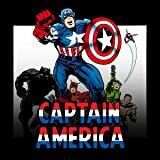 Boss Morgan, the Viper and the Red Skull are on hand with enough villainy for any hero, old or new! Plus: the origin of the Falcon! Guest-starring Nick Fury and the agents of S.H.I.E.L.D. !